A 69-year-old male was presented with a 2-month history of cognitive decline. 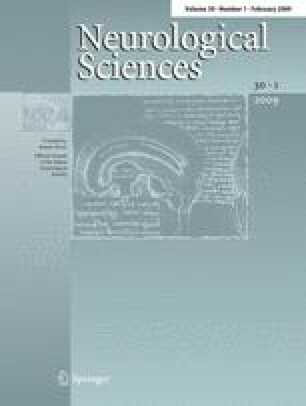 The most profound deficit was observed in short-term verbal and visual memory and recognition. He was otherwise healthy, apart from atrial fibrillation diagnosed 5 months before. Brain MRI revealed T2 hyperintensities in the left thalamus, right pulvinar thalami, both putamina and right head of caudate nucleus without diffusion restriction on DWI sequences. CSF examination revealed elevated proteins. He was HIV negative. The course of the disease was complicated with gram negative sepsis and the patient died 14 days later. Autopsy revealed the brain lesions to have been caused by toxoplasmic encephalitis. Toxoplasmic encephalitis is an extremely rare cause of rapidly progressive dementia in immunocompetent patients. In patients with multiple lesions, hyperintense on T2 and hypointense on T1 weighted sequences, without diffusion restriction and some expansive effect, infectious causes should be considered, even in the absence of classical signs of infectious diseases and CSF pleocythosis.